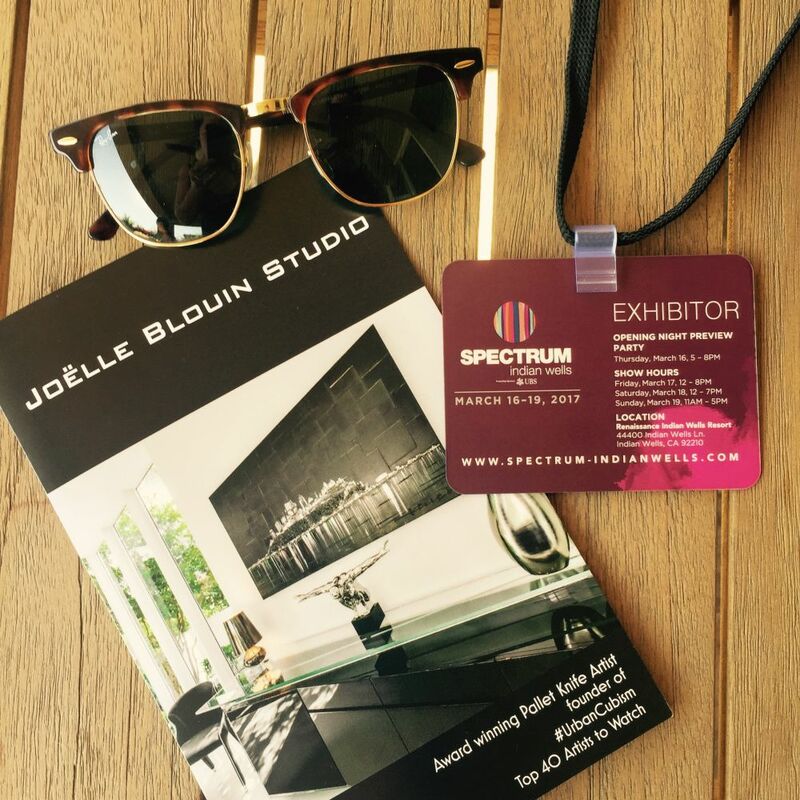 Joëlle participated in the 2017 Spectrum Indian Wells contemporary art show which took place from March 16th to 19th. Eleven of her most recent works were showcased at the Renaissance Resort, located in the heart of the Coachella Valley. During this weekend filled with rewarding encounters, she had the opportunity to interact with other international artists as well as with several industry professionals. Despite the diversity of genres, Joëlle managed to stand out with her "Urban Cubism" style which is known to be modern and colorful. "It was great to be able to meet people passionate about art and my paintings and to be able to know the preferences of each one. I grasp just how happy I am to be able to do my job and live in a place as inspiring as this one". The weekend filled with learning and accomplishments will certainly give a boost of energy to Joëlle who's already back to her pallet knives in her SoCal desert Studio. 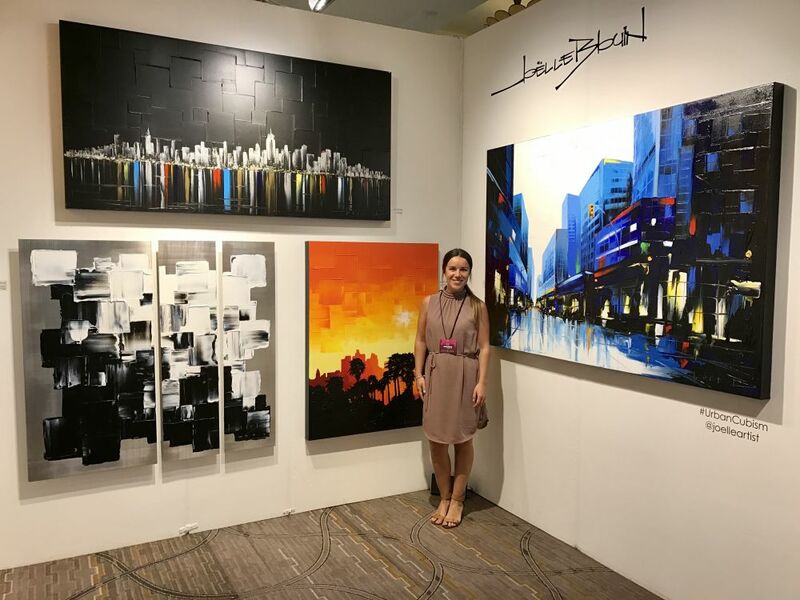 Shortly after having headlined ArtExpo New York Joëlle was named among the TOP 40 Artists to watch in Art Business News Magazine. This exclusive group of artists includes painters, sculptors, and photographers with already flourishing careers. For more than 35 years, Art Business News has provided comprehensive coverage of the art business and is read by more than 20,000 art industry professionals. Thanks to her piece Without Hesitation, Joëlle won the grand prize for the ‘poster challenge’ presented by ArtExpo New York. 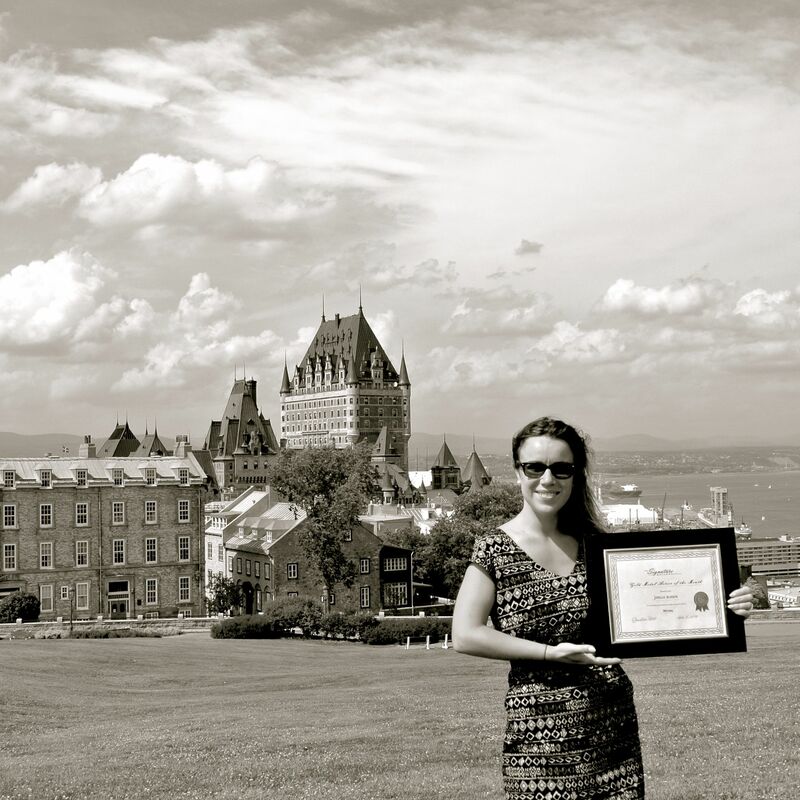 The contest theme for 2015, “Passageways”, garnered over 300 entries from around the world and Joëlle was voted No. 1. The roundup of prizes she won totaled more than $17,000 in value and her artwork was featured on the official poster of the event. 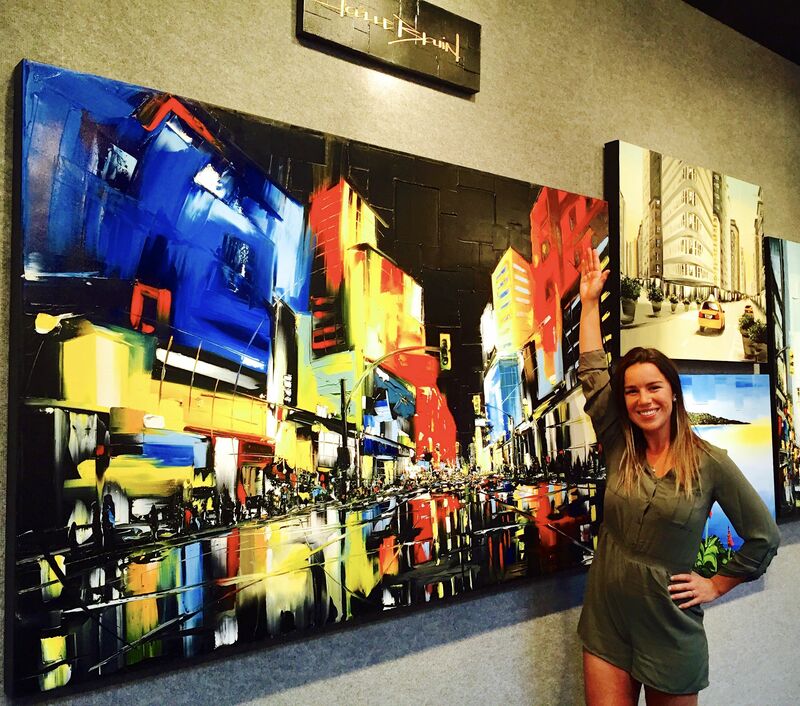 Joëlle attended the expo with her Laguna Beach Gallery to exhibit her most recent creations and was on hand for the unveiling of the original artwork at the VIP Preview Party. The original, measuring 48”x72” sold the opening night for $10,000. Hosting more than 25,000 avid art enthusiasts, the annual juried ArtExpo was held April 23rd to the 26th at Pier 94 in New York City. Own yours today click here! 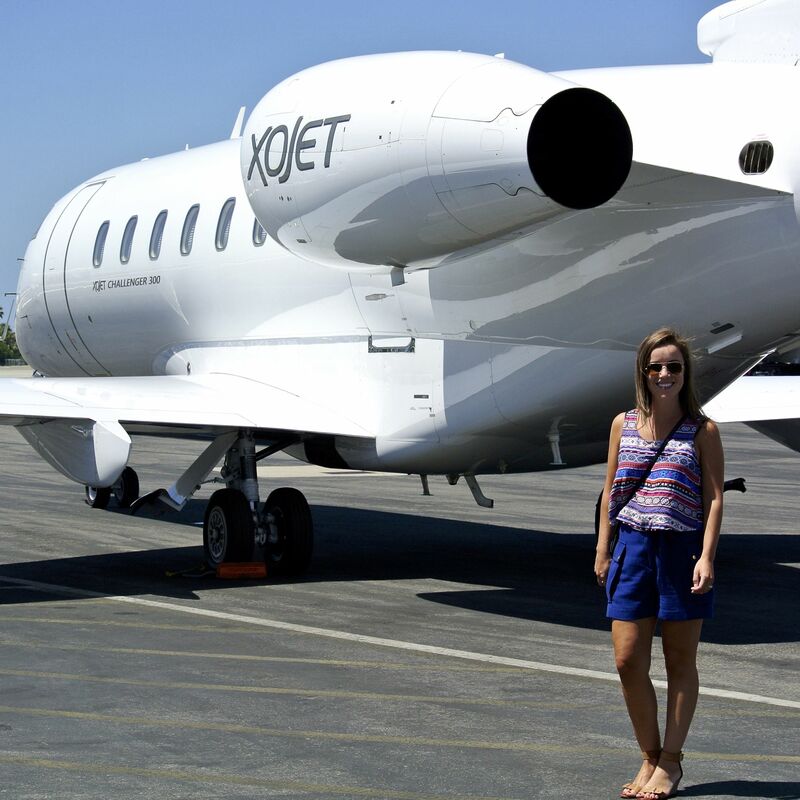 In August 2014, Joëlle was granted a rare O-1 visa by the U.S. government for her extraordinary ability in the arts, which allows her to live and work in the States on a more permanent basis. Since then, she’s set up a new studio in Southern California—but she continues to return to her Quebec City studio, where everything began just eight years ago.